Once you have obtained a county court judgment against someone, they become the ‘judgment debtor’ and you become the ‘judgment creditor.’ As payment in full within one month of the judgment being made entitles the judgment debtor to request the court to delete the entry on the Register of Judgments, Orders and Fines you might expect that individuals would have good reason to make the effort to pay judgments in full. 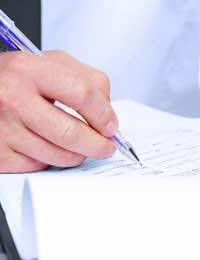 Entries that remain on the Register make it very difficult for judgment debtors to obtain credit. In spite of this it is very often the case that judgment debtors do not pay at all. If you have obtained a county court judgment against someone who hasn’t paid, you can then consider how to enforce the judgment against them. It is possible to use one method or several methods of enforcement but as there are costs involved it is vitally important to know about your judgment debtor’s circumstances before you choose which option(s) are most suitable. The best way to undertake this process, if you do not already have details of your judgment debtor’s financial and personal circumstances, is to apply to the court for an Order to Obtain Information (OTOI.) Although this is not an enforcement action it is a process by which the judgment debtor is asked questions under oath and must provide documentary evidence of their circumstances. To apply for an OTOI, you should fill out form N316 for individuals, and form N316A for businesses, providing details of the date of the judgment, the amount that was ordered to be paid, and any timescale within which this should have been paid. On the second page there is an option to provide any specific questions you would like the court officer to ask the judgment debtor, as well as any particular documents you would like the judgment debtor to produce e.g. a contract of employment. Finally there is an option to request that the questions are asked by a district judge but there must be compelling reasons for this. Once the court has received the application it will be processed, and you will be given details of the time and date of the hearing. You must then arrange for the judgment debtor to be served with this order no less than 14 days prior to the date of the hearing. Normally, people choose to use process servers for this purpose (at further cost) in which case you should file the statement of service with the court before the hearing. You should complete form EX550 once service has been effected, with an affidavit swearing that the debtor has been served with the order. What if the Judgment Debtor Does Not Attend the Hearing? There are serious consequences for judgment debtors who fail to attend court. In the event of non-attendance, a committal order will be made by a circuit or high court judge. In reality, this will be ‘suspended’ to allow the judgment debtor another chance to attend court. If they fail to do so on a further occasion a warrant will be issued for their arrest. If for whatever reason you, or the process server, has not been able to serve the order on the judgment debtor you must let the court know no less than 7 days prior to the date of the hearing. Once you have received details of the judgment debtor’s circumstances, you will be in a better position to decide which enforcement actions to pursue. A CCJ was enforced by the High Court Sherriff a full payment was made including the fees comprising cash and bank transfer. No Receipt was issued at the time however, the the Sherieff office has confirmed the receipt of money and no money is outstanding on this account. They are unable to help further and asking to go to the Claimant.The Court is still showing a judgement as "unsatisfied". The Claimant has ignored all the requests to file the copy of satisfaction.The County Court is refusing to accept the email as a proof.What does one do under the circumstasnces? The creditor should have informed the court the CCJ was paid. Therefore, you will be required to send details of the CCJ and a copy of your bank statement to the court to prove that the payment was made. A CCJ was enforced by the High Court Sherriff a full payment was made including the fees comprising cash and bank transfer.. No Receipt was issued at the time however, the the Sherieff office has confirmed the receipt of money and no money is outstanding on this account. They are unable to help further and asking to go to the Claimant. The Court is still showing a judgement as "unsatisfied". The Claimant has ignored all the requests to file the copy of satisfaction. The County Court is refusing to accept the email as a proof. What does one do under the circumstasnces? @do not trust the Tim - I am very sorry to hear this. However, you would have to seek professional legal advice on this matter as we cannot advise. So - I had to sell my timeshare - and found a company who initially looked good. After transfer of the title deeds to that company , for which the The Timesharemart Ltd received payment from the buyer subsequently - they never transferred the agreed money to me. CCJ judgement via MCOL by default - against the company and sole owner. Warrant of control and Bailiff visited him - He is well known to them, apparently - no Assets - car on hire purchase - everything rented or leased. I should have checked his credit check online first - I am not the first one - he has 4 CCj unsatisfied - where do I go from here ? ?